A speakeasy, I found out, was a hidden place, that during the times of the prohibition people could go and buy alcohol, drink and chat. It seems this wasn’t exclusive to the US, and they could also be found in places such as Africa, which leads me to the restaurant we visited last week Lucky Tsotsi’s. Speakeasies are still common in parts of Africa today, and are a meeting place for people to drink beer, sip gin and eat good food. The ‘Shebeens’ were often made up of makeshift shacks or whatever the locals could find, or in the house of a local. The idea was to make people feel like they were at home, and were comfortable enough to eat, drink and be merry (and avoid the political unrest that was ever present). Lucky Tsotsi’s in Oxford Street have recreated the feel of a make shift Shebeen with the interior consisting of corrugated iron, signs and other paraphernalia that Zoolander would refer to as ‘Dere-leek’. The menu is simple yet interesting; containing what I would imagine is the typical street food of Africa. Given my lack of geographical prowess the dinner was somewhat of an education around the different parts of Africa – yes, it brings MC so much joy to test me on geography! 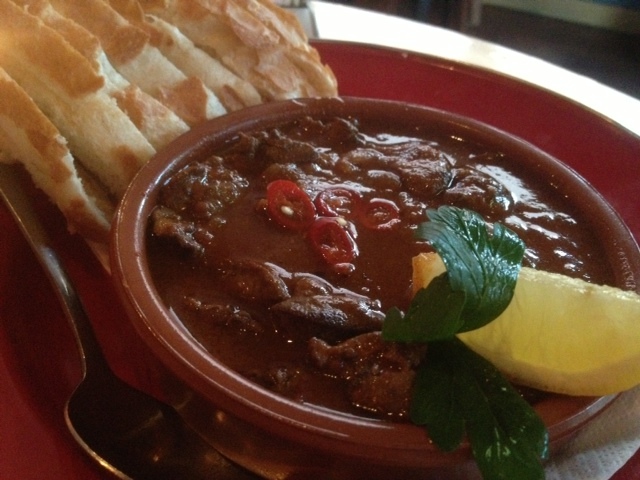 We also had another awesome, yet slightly different entrée –chicken livers in a peri peri sauce. As you know we are both suckers for organ meat, and are consciously trying to add them to our diet at least once/week due to their health benefits (I’ll let MC explain this more). 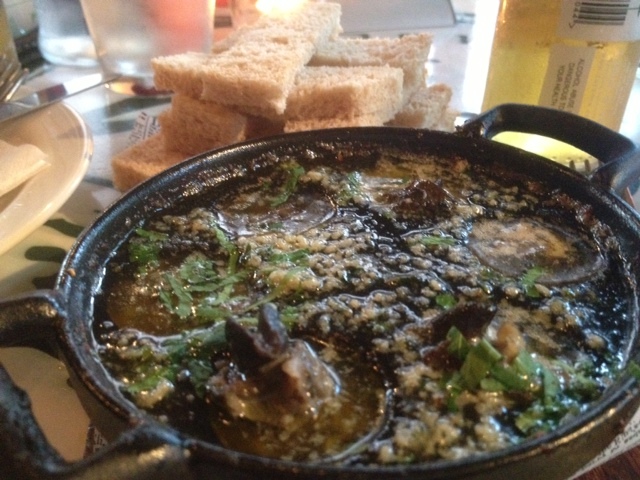 Snails and liver in my belly simultaneously… that was a weird thought… ok, MC – your review? This last one is pretty self explanatory. Although, of course like anything, ribs can be done poorly. Lucky for us (and Tsotsi) these were plump and a treat to eat. Of course the geek in me, and us, came alive at the sight of the livers. Yes, we do endeavour to eat some on a regular basis. 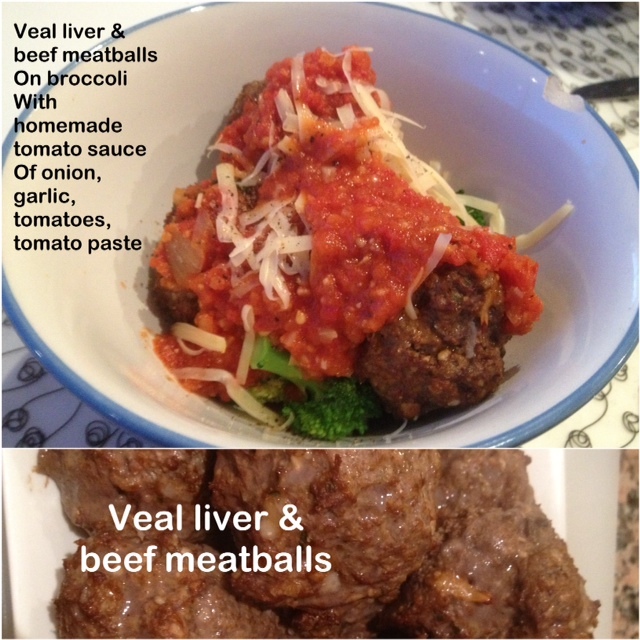 For example, last week I made some beef meatballs with veal liver in the mix. It was a nervous test, but the result was surprisingly awesome. So much so that I have just stocked up again. This time some free grange pig liver and some little chicken livers. The reason? Well I won’t get into incredibly depth, but it’s suffice to say that offal, and liver in particular, is an absolute treasure chest of rich, beneficial nutrients. In terms of size, this stuff packs punch, full of lean protein, iron, zinc, selenium, phosphorous and jammed full of essential B vitamins and vitamin A, a wonderful addition to any well rounded diet. If you’d like to get some ideas on how to use them in recipes, or incorporate them into your diet, then contact me here. Otherwise, find a handy little place like Lucky Tsotsi’s and take advantage of their more well rounded menu. And that, is how we ate at a South African place, without having a massive steak! 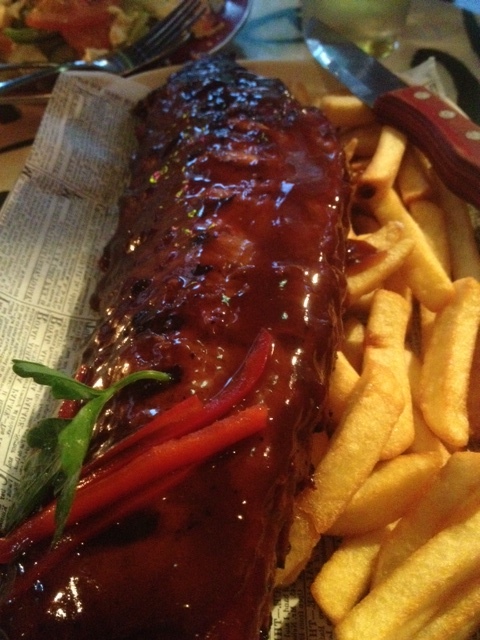 Still, the ribs made up for that!